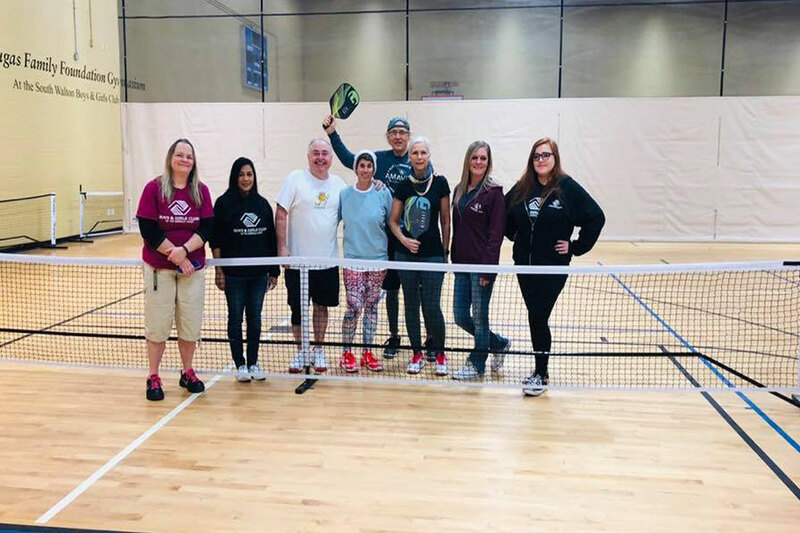 To help promote healthy activities among local residents, the Coastal Seniors of South Walton (CSSW) and the Boys & Girls Clubs of the Emerald Coast (BGCEC) have partnered to support this effort by starting recreational pickleball at the South Walton BGCEC Club. Coastal Seniors have donated three nets to support open recreation pickleball that takes place every Monday, Tuesday, Thursday and Friday from 9 am to 12 noon in the South Walton Clubs gymnasium. The cost is $5.00 to participate. A membership card can be purchased for $30.00 which allows members to participate for just $2.00 per session.